Th e Mary Kay Foundation invites the DBC to hear how modern executives have learned from a legend! We are pleased to announce that awarding-winning Fox 4 News Anchor/Reporter, Clarice Tinsley will be the featured guest moderator for this dynamic discussion which will press the fast-forward button on Mary Kay Ash’s timeless principles on people management. With major investigative reporting awards to her credit, including the prestigious George Foster Peabody Award, Clarice is uncompromising in her commitment to inform the community thoroughly and credibly. 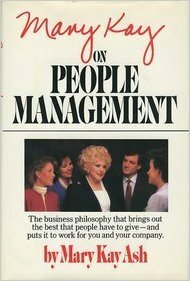 Clarice had the unique privilege of knowing Mary Kay Ash personally, so she will be able to bring a unique perspective to our conversation.